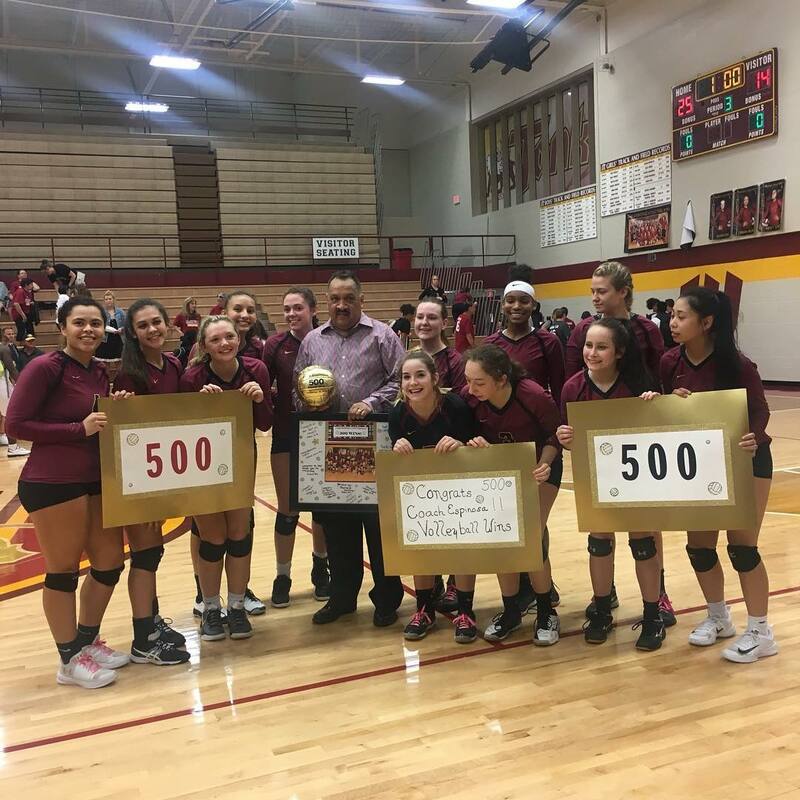 Coach Mike Espinosa achieved his 500th win on Sept. 18. After the volleyball team won Tuesday’s game, he was congratulated and awarded with a trophy. He is one of 50 high school coaches in the nation to accomplish this. Photo submitted.